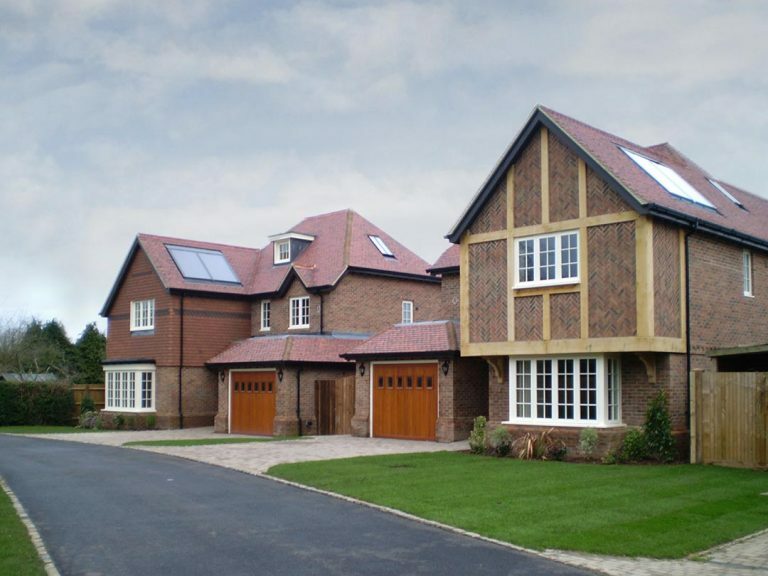 In the sought after area of Tring, Hertfordshire, building contractor Hale Building Contractors Ltd were looking for a supplier of timber windows and doors for their three storey detached homes at the Orchard Gardens development . Hale Building Contractors required a well-established company that could not only supply high quality products on time, but also add value and expertise. George Barnsdale’s reputation and depth of experience spoke for itself when choosing a timber window and door manufacturer. 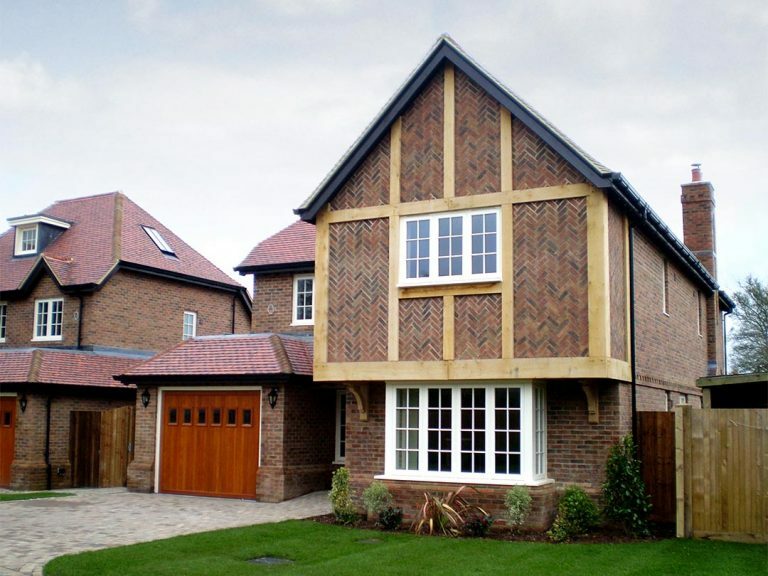 The Orchard Gardens project brief was to provide timber windows and doors for two new houses as part of the Orchard Garden development. 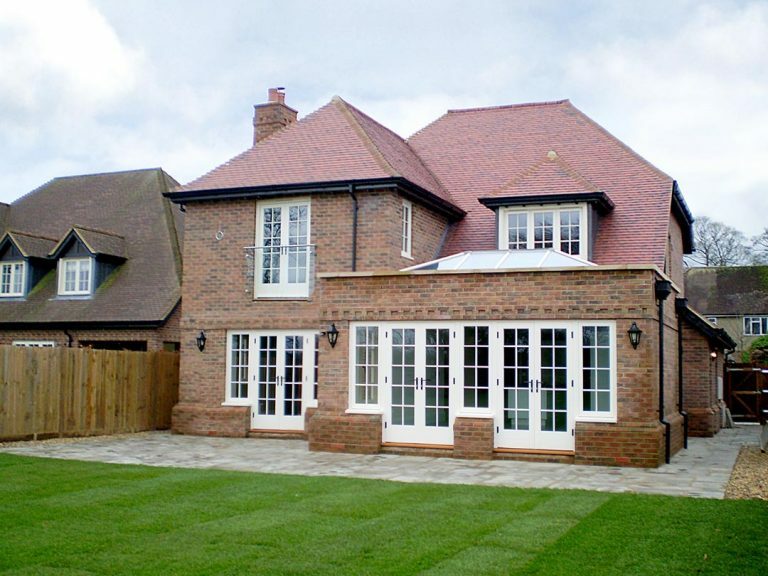 The properties although not identical, are traditional in appearance incorporating red multi-facing brickwork, steeply pitched plain clay tiled roofs and oak detailed porches. Energy efficiency and sustainability was essential in the construction and design of both homes, with in-roof solar panels and advanced insulation throughout. 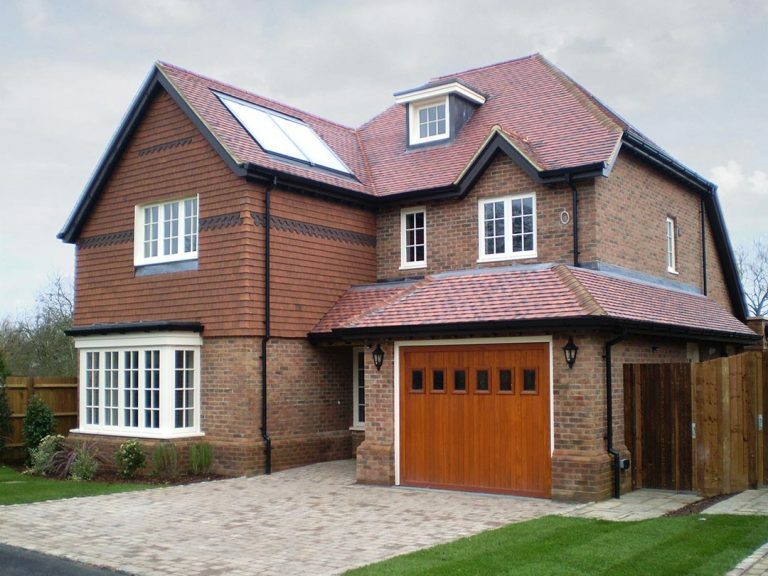 We supplied a variety of flush casement windows, French doorsets and entrance doors to the development, all from our Traditional Range. As part of the design brief it was crucial that the timber windows and doors provided a sense of quality, enhanced curb appeal and provided exceptional performance. Thermal efficiency is achieved through our innovative glazing system, whereby traditional aesthetics conceal a high performance glazing system which allows more light to get in and less heat to get out. For design authenticity, astragal bars were fitted to the casement windows with the external bars being manufactured from Accoya® for enhanced durability.